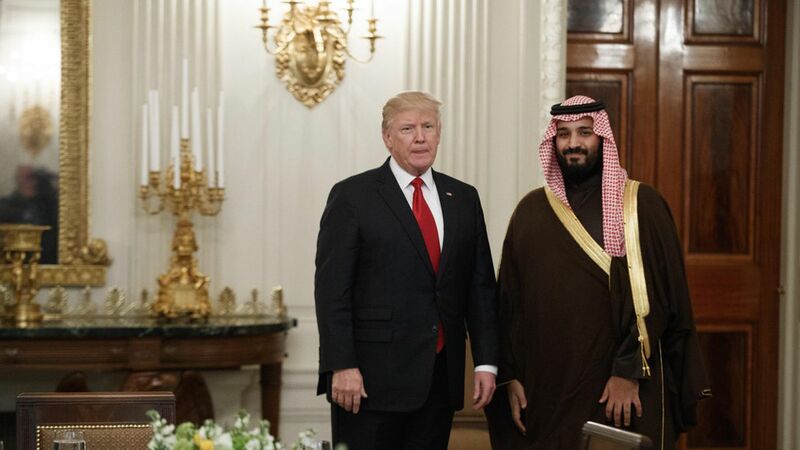 A big ticket item of President Trump's Middle East trip this week is expected to be the announcement of arms sales and financial investments worth hundreds of billions of dollars with Saudi Arabia. The Wall Street Journal popped an insightful piece on the negotiations yesterday. Behind-the-scenes: I can share some more detail on the deal's contents, based on my conversations with U.S. officials who have been briefed on the closed-door negotiations. Jared Kushner has been dealing directly with Deputy Crown Prince Mohammed bin Salman. Their conversations have then been kicked to the interagency process, with NSC, Defense, State, and Treasury all involved, according to a White House official. As of late last week all of this was still being negotiated. Trump winning the election generated momentum to seal this package. Freeing up cases held up by Obama — sales of primarily laser-guided bombs for the Royal Saudi Air Force. (Obama held them up because of allegations about civilian casualties in Yemen.) All of this relates to the Saudis' proxy war against Iran in Yemen. New sales that have yet to come to Capitol Hill for approval. Expected to include additional capabilities to support ballistic missile defense in Saudi, and longer-range ballistic missile to help Saudis defeat a growing Iranian threat. The high-profile item: THAAD, the advanced anti-missile system. Finally — and this is the most speculative of everything I've mentioned — it's possible you'll see an announcement of the U.S. and Saudis working together on identifying Saudi defense needs over a 10-year period and talking about what the U.S. is prepared to sell the Saudis over that period. This part will be complicated because the U.S. must coordinate with the Israelis to maintain their "Qualitative Military Edge," the formal name for the U.S. policy of ensuring that Israel maintains military superiority over its neighbors. Big picture: Trump and his national security team want to align much more closely with Gulf partners to contain Iranian power and their hegemonic aspirations. Trump will ask the Saudis to play a bigger role in fighting ISIS in the region.